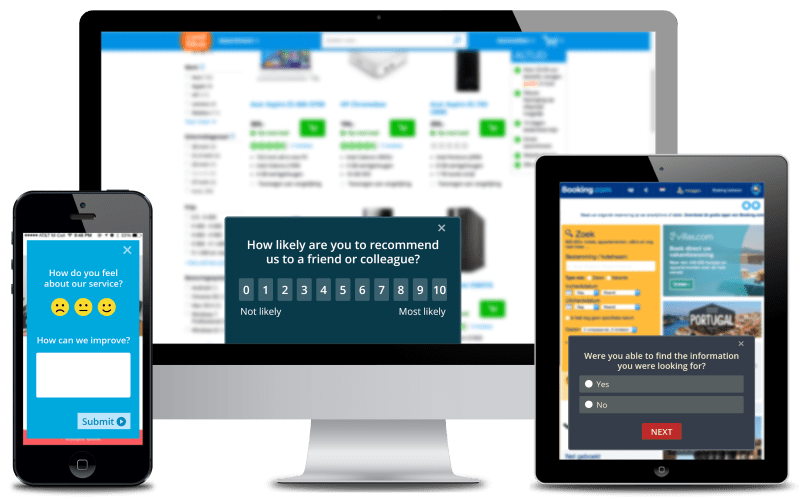 Show beautiful slide-in and pop-up surveys and promotions in your website. You decide to whom and when these interactions are shown. Choose from many advanced triggers and targeting options, like exit intent, page scroll, idle time and button click. 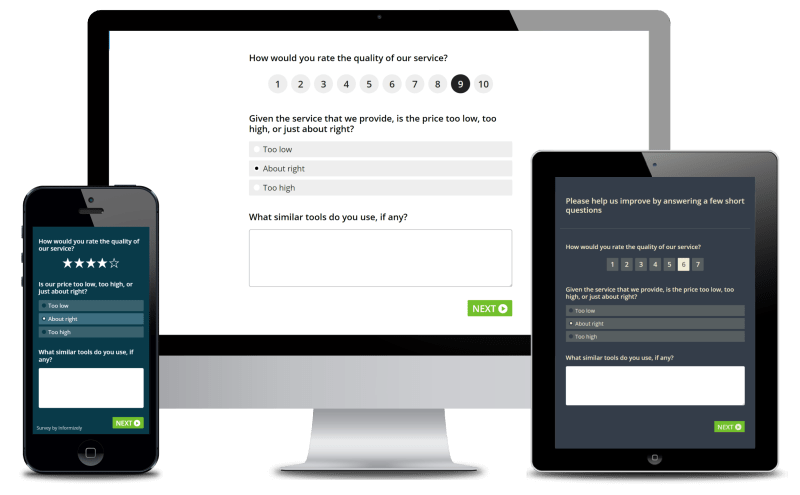 Show surveys of any length on the Informizely site, or on your own website. Show as many questions, and other items, on a survey page as you like, and add as many pages to a survey as you want. Distribute the public link any way you want, for example in an email to your users, or as a button in your website. 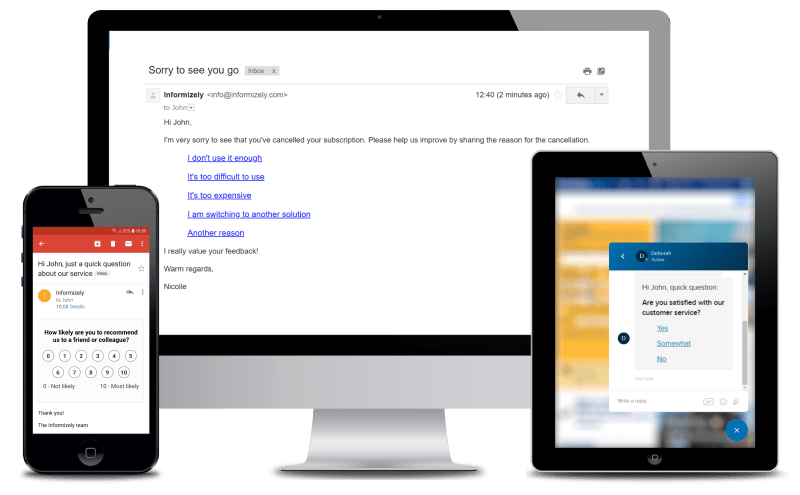 Embed a Net Promoter Score, rating or other single-choice question in an email. Ask survey questions directly in an HTML app, for example in an Intercom chat message. Optionally ask follow-up questions in a full page survey on the Informizely site.